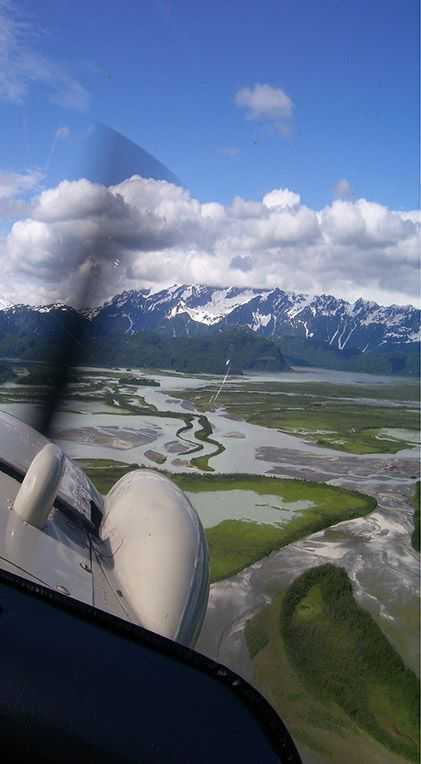 We’ve been exploring Alaska and fishing the Kenai and Kasilof Rivers for over 14 years. Catching giant fish is our business and business is good! 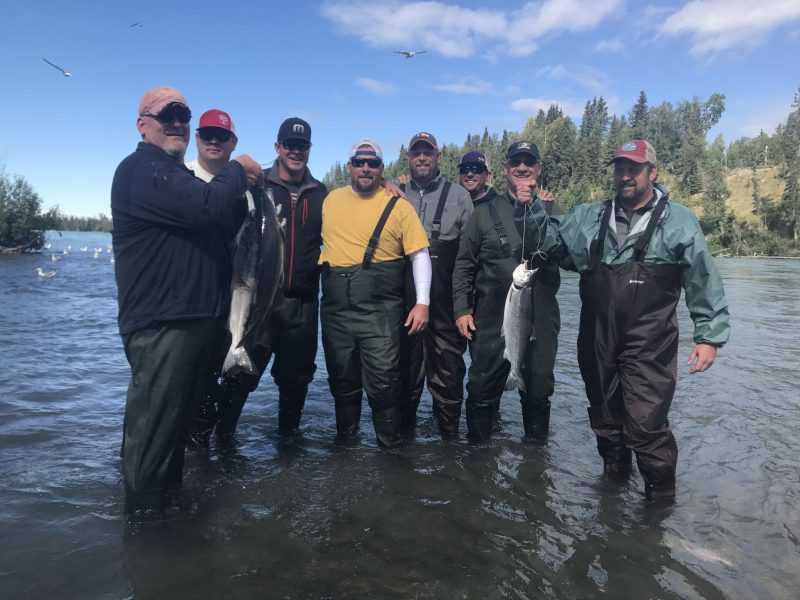 When you plan an Alaskan vacation with us, you’ll see we’re not only professional and friendly, but fun to be around as well! What more could you ask for? 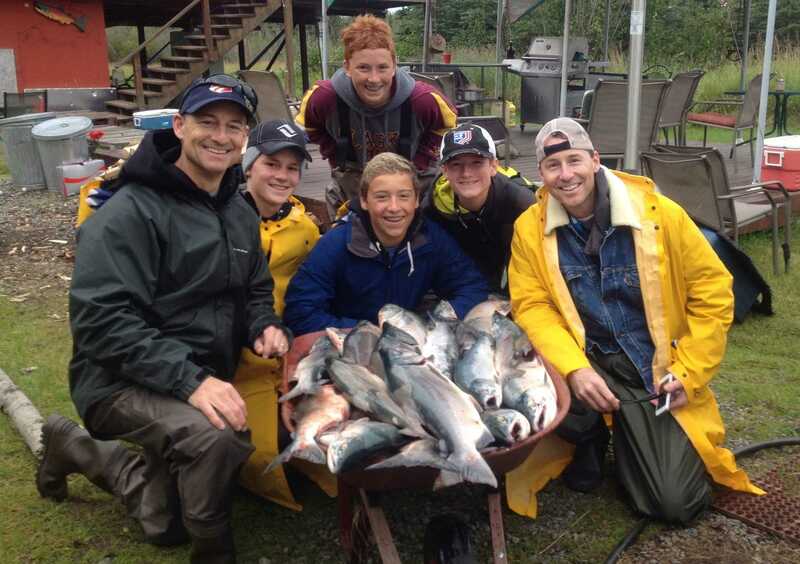 Call today and get fishing with our Kenai River Guides! 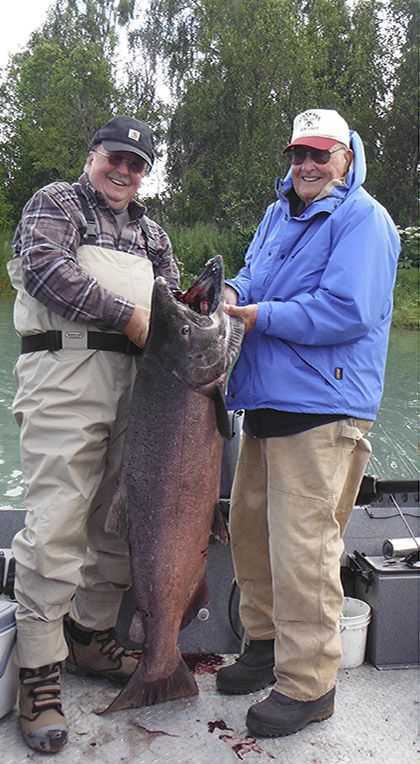 We’ll take you out on the world-famous Kenai to catch the mighty Alaskan King Salmon. The year round fishing spot. 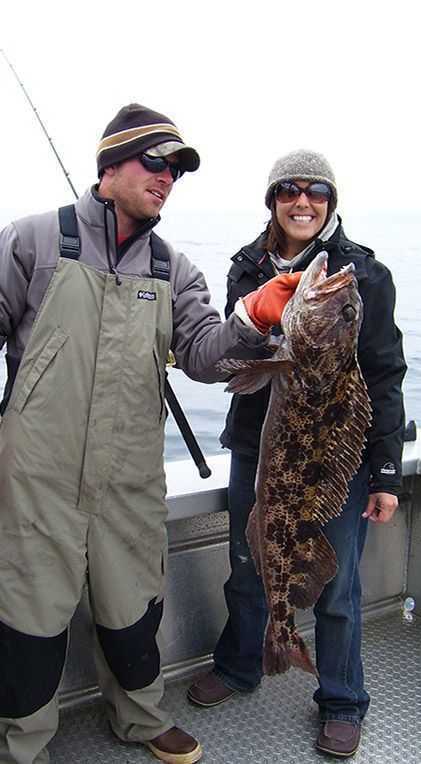 Have a memorable day catching your delicious halibut. Explore where roads don’t go and find some of the world’s best fly fishing locations. 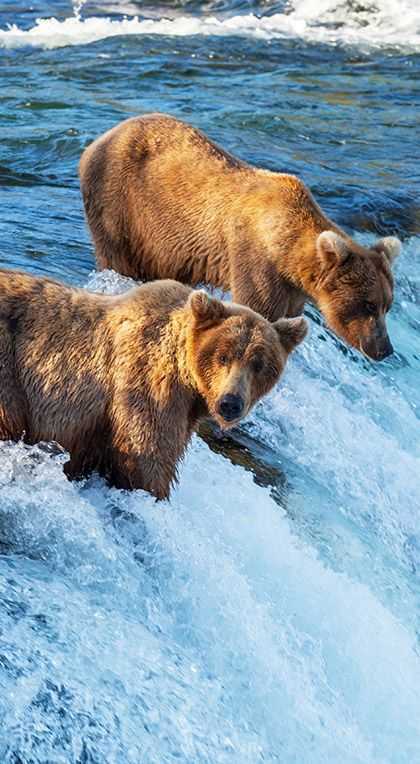 Experience the excitement of viewing brown bears and black bears in their natural habitat. Our comfortable and cozy lodge situated just one mile from the famous Kenai River. The perfect home base for daily adventures. With the best in class river boats and fishing gear, all you have to do is bring yourself, and we’ll take care of the rest. With a fire pit and plenty of room for everyone, our “Alaskan” backyard makes the perfect place to unwind and BBQ fresh Salmon. Catch The Fish Of Your Dreams! 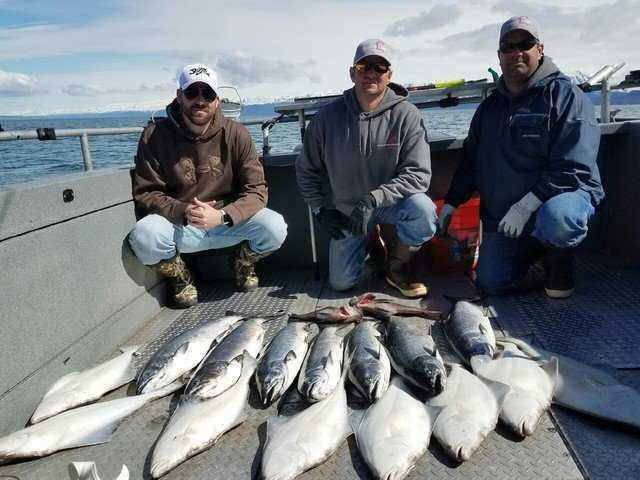 Alaska’s Kenai Peninsula has some of the best fishing trips in the world with a wide variety of sought after species from the Kenai River King Salmon to the Cook Inlet Halibut. 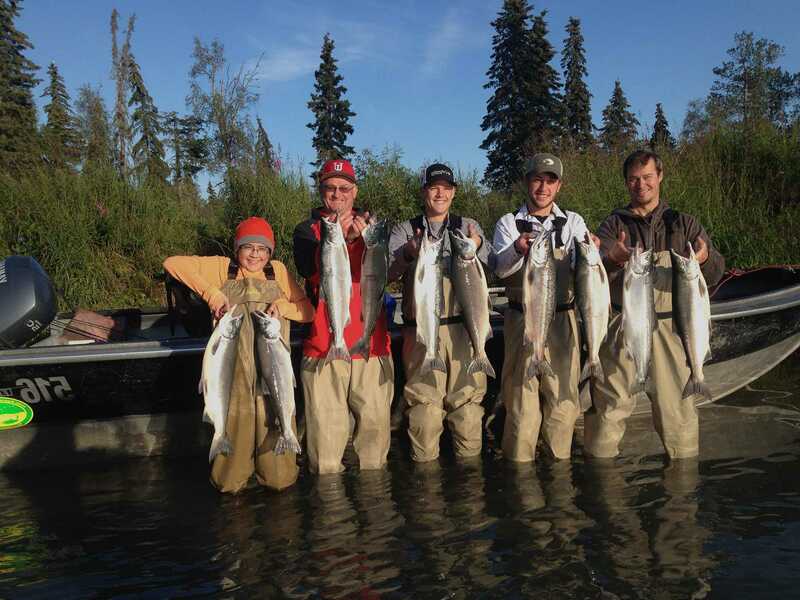 You can catch yours today with our highly experienced Kenai River charters. See what it’s like when you land a Kasilof King Salmon on the end of your line! Incredible! 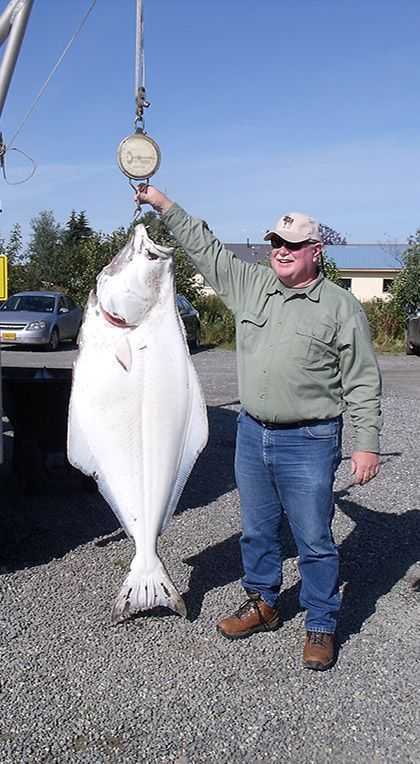 Cook Inlet halibut average from 20 to 50 pounds. They’re fun to catch and even better to eat. 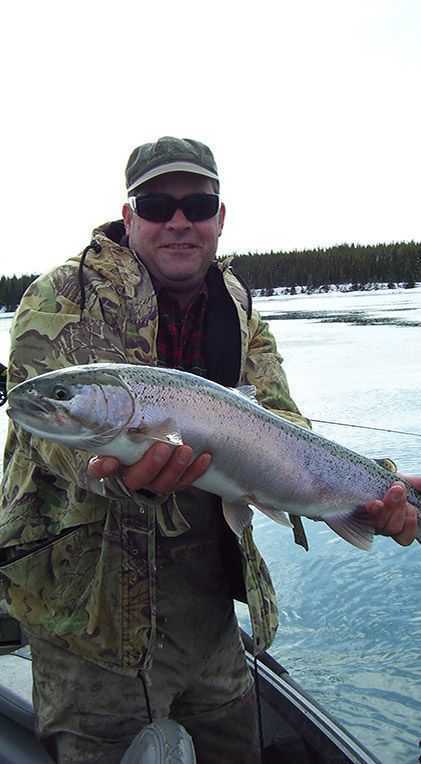 Catch and release a massive Rainbow Trout in the fall after they’ve gorged on Salmon eggs. Otherwise known as Red Salmon, Sockeye are some of the hardest fighting fish, but well worth the fight. 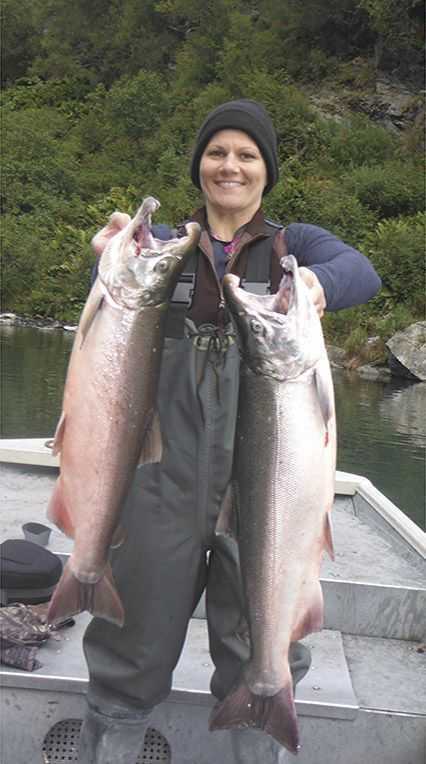 One of Alaska’s greatest sport fish, Silver Salmon are acrobatic fighters so be ready for some fun. 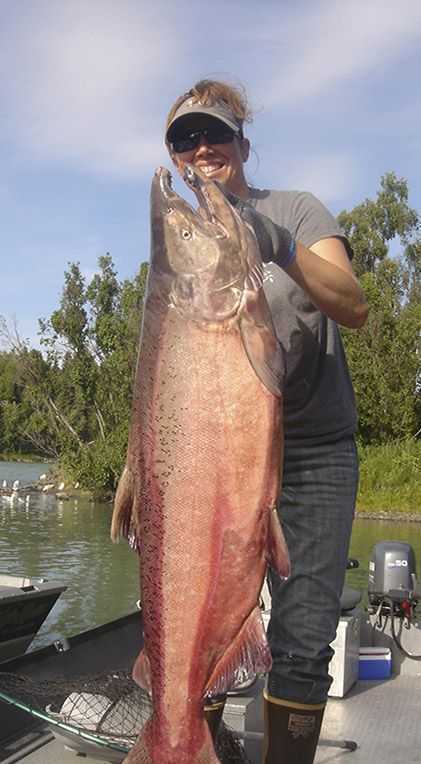 The Nushagak River has the biggest King run in Alaska with over 100,000 King Salmon! They’re not the prettiest fish to look at, but they are enjoyable to eat and fun to catch. 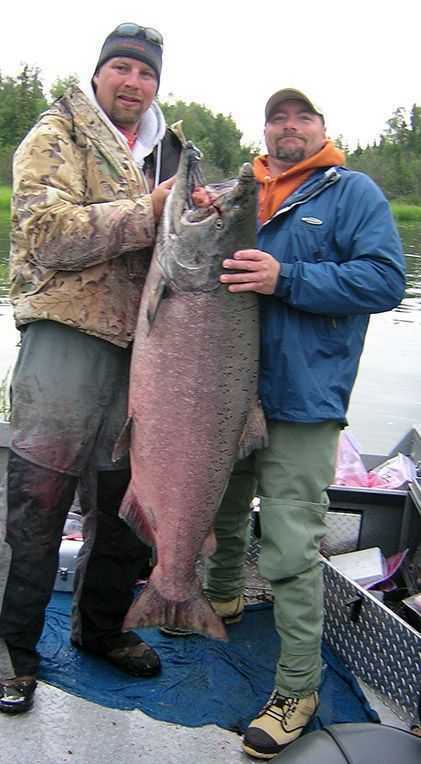 World famous for 60+ lbs King Salmon, fishing the Kenai River is a once in a lifetime treat. I just want to thank Eric and Kasey for making my trip to Alaska a dream come true. They worked hard on the water to put us on fish day after day. Everything was top notch from helping us plan our trip to filleting our catch at the end of the day. Thanks, We'll be back! 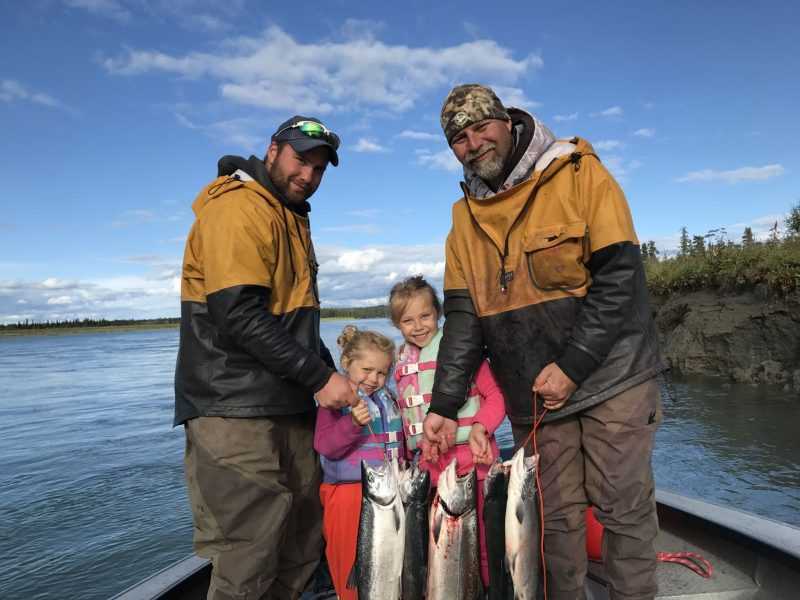 Our Kenai River Fishing Guides are among the best in the world, armed with years of experience, thousands of hours on the river and a true love for fishing our guide will make sure your trip is memorable, unique, and a blast! 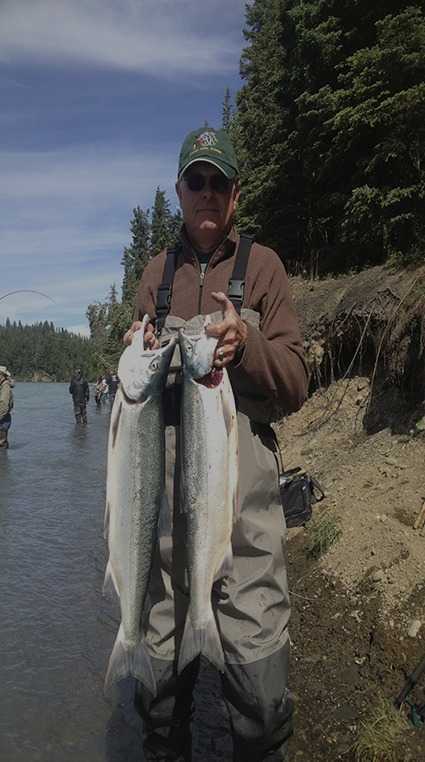 We might not be the best Kenai River Guide Service but we haven’t seen any better! 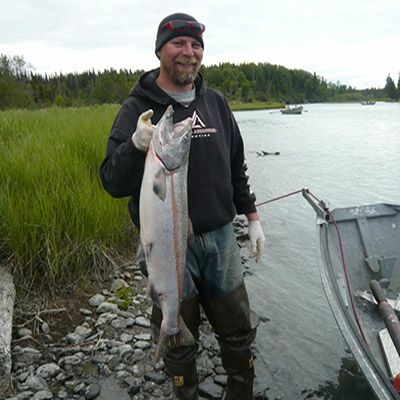 An avid fisherman and hunter, Eric came to Alaska 15 years ago and has never left since. 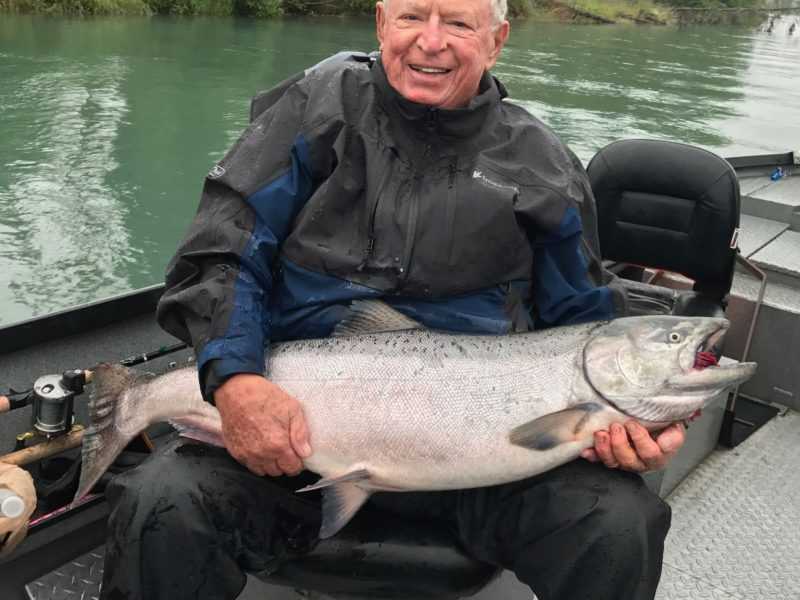 Fishing for King Salmon on the Kenai River is his life calling! Kasey has always loved the outdoors. 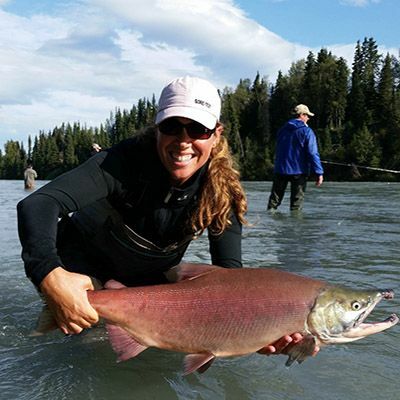 After 14 years in Alaska, she has guided hundreds of fly-outs and knows the best spots to fish the Kenai River. We love fishing, we love taking you fishing, and we love watching you catch fish. It all started over 15 years ago when Eric visited Alaska for the first time. 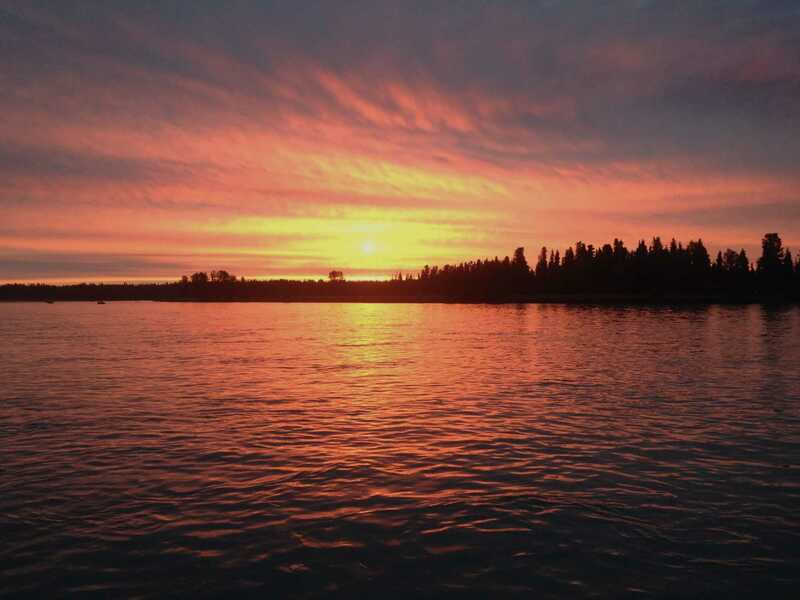 While there, he fished the Kenai and Kasilof River for King Salmon, and the Russian River for sockeye. He also went on a fly-out trip to Wolverine Creek. This was back when they let you get out on the bank with all the bears! When it was all said and done he decided Alaska was the place for him. 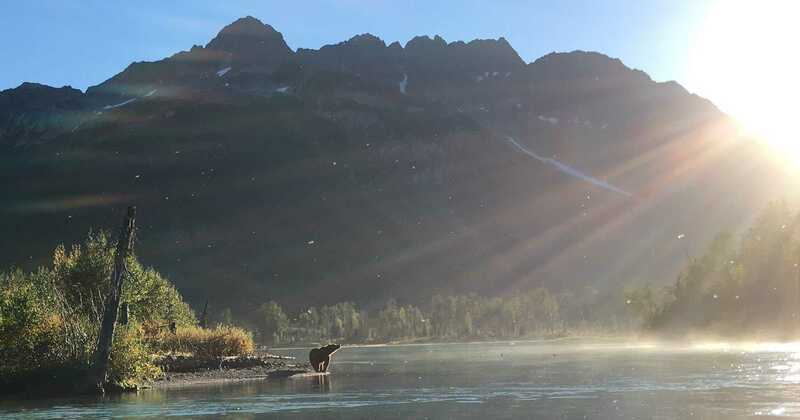 So he went home, sold nearly everything he owned, packed what was left and drove up to begin his life as a Kenai River Guide. He’s never looked back! 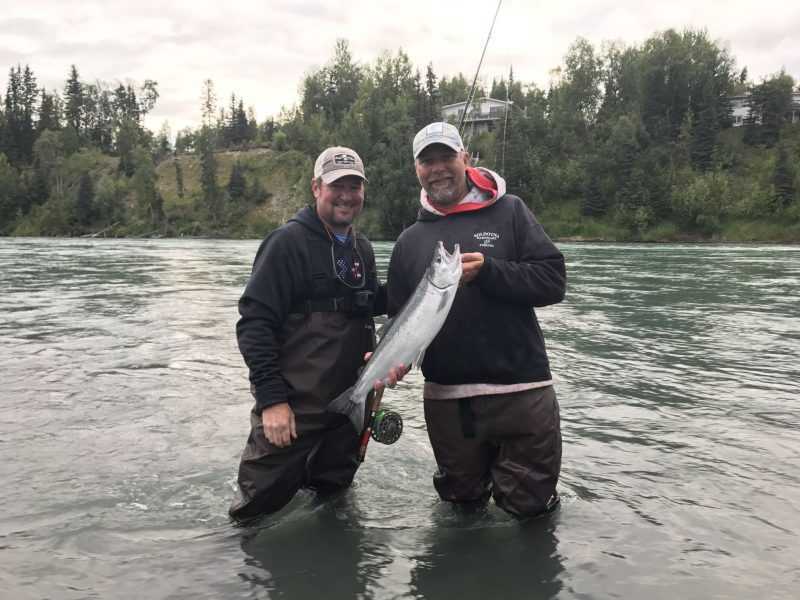 After years of experience guiding anglers on the Kenai Peninsula, we’ve learned how to make your visit to Alaska as memorable as Eric’s trip all those years ago. We’ll tell it to you straight. If the fishing is no good when you’re planning to visit, we’ll tell you. We’d rather have informed and happy clients versus seats filled in our boats. I guess you’d say we’re honest. We have your best interest in mind – not ours. We take pride in making sure you catch the fish you traveled thousands of miles to catch. 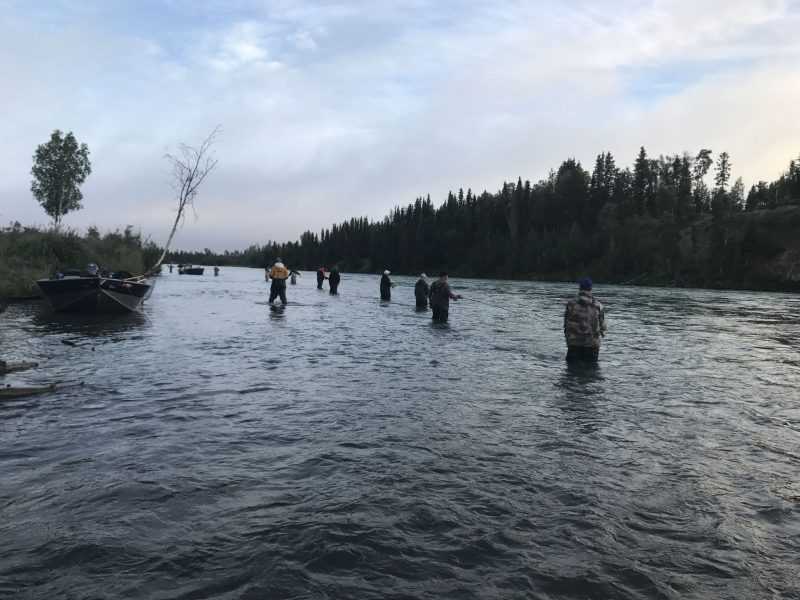 It’s not about money, it’s about being the best Kenai River fishing guide period. Yes, some of our trips start really early but we would rather get you out on the river and get a fish on your hook, than be the boat that doesn’t. 10% of the guides catch 90% of the fish. Be informed. Call us. Even if you don’t book with us, we’re still happy to help! Call us today and see if we’re the right fit for you!